The appearance of American musicians in the “Beatles Café” at the Easter’s day. Date and a place of carrying out of 6th International Festival “Beatles Forever!” became known. The Festival takes place on June, the 13th, 2009. The place of carrying out the festival becomes traditional sport and health complex “Logoysk” located in 30 kilometers from Minsk in the Vitebsk direction near to the city of Logoysk. Entrance to the festival is free of charge. The beginning of the festival program is at 14.00 hour. The foundation of this duet is obliged to occurrence in 2003 to the first in territory of the former USSR “The Beatles Cafe” in the city of Minsk. Professionalism of these musicians – is indisputable. At various times they were participants of the well-known Belarusian ensemble “Pesnyari”, but were united in a creative duet owing to love to group “The Beatles”. Performance of these musicians with Beatles’ repertoire does not leave anybody indifferent and always deserves a storm of applause. Now they work in collectives known not only in Belarus. Vladimir Tkachenko – the guitarist, the arranger of the State Orchestra under control of Michael Finberg. Victor Molchanov – a guitar of group "Pesnyari". Duet “Double Fantasy” – the constant participant of all festivals “Beatles Forever!” in the city of Minsk and also in many other cities have estimated their professional skill of game. Group "Artefact" has been organized in 2003. On the decision of musicians to sing songs of the legendary Liverpool’s four had an influence not only their huge love to creativity of “The Beatles” but also that remarkable fact, that at the same year the boys were removed in a feature film “Dunechka” where they played the young group singing songs of “The Beatles”. Boys play with special drive which can be compared probably with drive of “The Beatles”. It is no wonder, that every year they receive more and more offers to participate in various festivals and parties. “Dаns Ramblers” are four Moscow musicians which have chosen rather pretension name with translation to Russian as “Mr. Tramp”. The Group has been founded in 1991. Musicians have decided to become the group playing a rock-and-roll with a fair share of a rhythm-and-blues. “Dаns Ramblers” gravitate to English rock-and-roll school of 60th. In repertoire of group it is a lot of songs from repertoire of “The Beatles”, basically there are vigorous compositions. 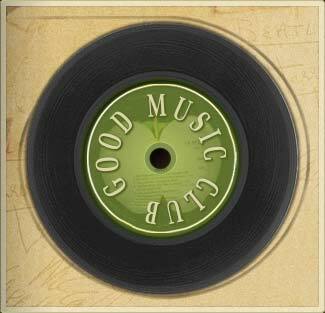 Drive which “Dаns Ramblers” execute compositions, cheers up listeners and forces to dance. group repeatedly took part on various actions connected to “The Beatles” including “Beatles Week” in Liverpool. Johnny Silver - known enough musician Martin Kahlan from the city Osnabrueck (Germany). The hobby for music “The Beatles” and John Lennon has affected a choice the musician of a scenic pseudonym. Johnny acts solo with attraction of sessional musicians. His program carries the name “Lennon Show”. In the program are presented the most interesting compositions of John Lennon and group “The Beatles” gained confidence and hearts of admirers all over the world. The musician often goes on tour across the Great Britain, Germany and France, annually participates in “Beatles Week” in Liverpool. After record on label Sony/BMG of the album devoted “The Beatles” Johnny has decided to make something brand new and has created group “Johnny Silver Trio”. We shall see them in Minsk! “Puttin' On The Beatles Style” (PuttinBeatles) - “Try on himself style of “The Beatles” - under this name the Petersburg’s four of the musicians were united in the year 2005executing a cover-version of Beatles’ songs . The manner in which the Petersburg collective executes compositions of the Liverpool four is so much original as so unexpected. They play “The Beatles” on button accordion. “PuttinBeatles” - the participant of annual International festivals “Beatles Week” 2006 and 2007 in Liverpool. The group made more then ten performances at festivals in Russia and abroad, in television and radio projects, and also solo club performances. “The Overtures” - one of the best British cover groups of last decade. Popularity has come to musicians after an output of film “To kill Jo” nominated for the premium Oskar in 2000. Later “The Overtures” have been invited by BBC to record a soundtrack to film “John Lennon – Inside”. The group acts with concerts worldwide and annually takes part in “Beatles Week” in Liverpool. “We are greater admirers of group “The Beatles” and always we enjoy playing this music” - the soloist of group Den Pugsley speaks. Except show devoted “The Beatles” group “The Overtures” promises to play for Belarusian spectators classics of 60th. Guys from the Great Britain are expecting the performance in Minsk with impatience. 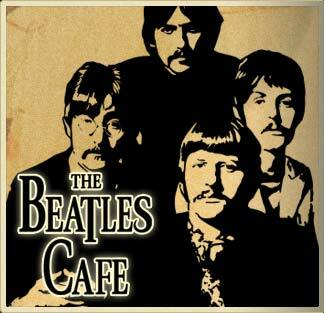 © 2006 «The Beatles Cafe» JC "BelVINS" Ltd.
Made by WebStudio - "Kasper"